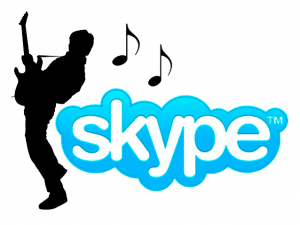 Skype lessons with Steve cost £35 per hour. Payments are made with a bank direct transfer. Steve’s voice and his guitar are run via a mixer (not a webcam mic) for superior sound quality. All sessions are paid with a direct transfer. On initial enquiry, Steve will ask you for preferred dates and times, and once settled upon, full payment guarantees the slot. There are absolutely no refunds for no-shows or cancellations, period. Once you book your session, you’ll receive Steve’s Skype name and you’ll be added to his Skype contacts.